Item # 308647 Stash Points: 4,195 (?) This is the number of points you get in The Zumiez Stash for purchasing this item. Stash points are redeemable for exclusive rewards only available to Zumiez Stash members. To redeem your points check out the rewards catalog on thestash.zumiez.com. 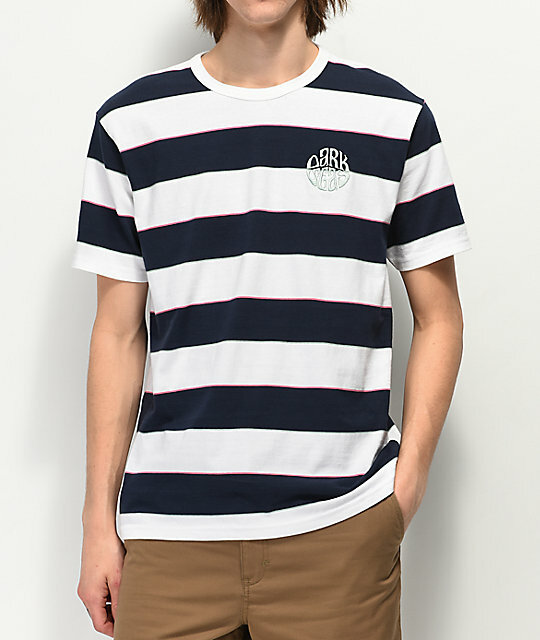 Give your daily looks a serious splash of classic pattern with the Dark Seas Mondo Striped White & Navy T-Shirt. Featuring Navy, horizontal stripes throughout with orange and light blue borders, this shirt is ready to layer into all your day-to-day looks. 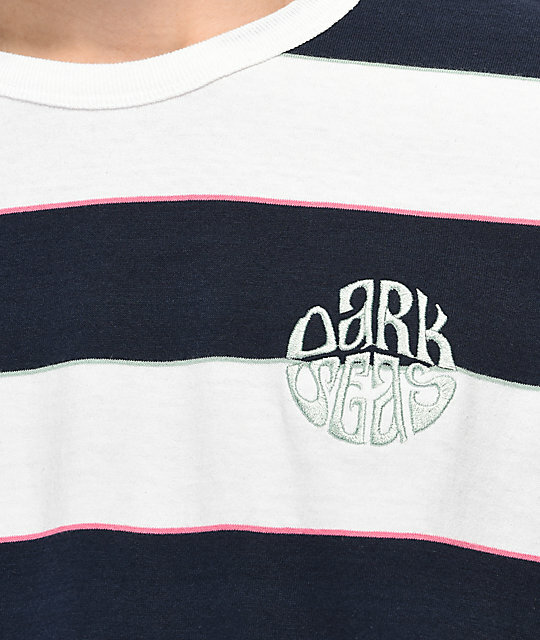 Finished with an embroidered Dark Seas script logo at the left chest in bright blue, this tee boasts colorful yet subtle branding that really ties the look together. 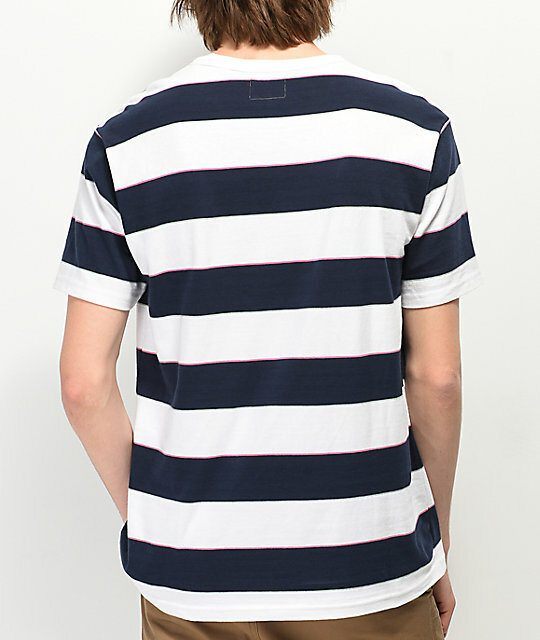 Mondo Striped White & Navy T-Shirt from Dark Seas. Embroidered teal Dark Seas logo at left chest. Navy horizontal stripes throughout with orange and light blue borders.